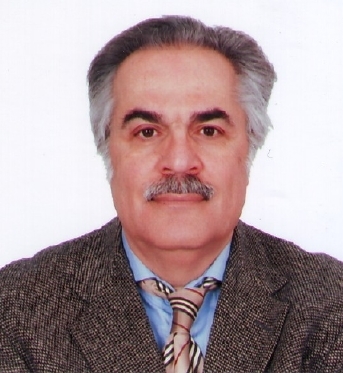 Omid Motahed is programming enthusiast and a hobby Delphi programmer. I am donating my personal Delphi programs that I have written and collected since 1996. You can contact me at motahed1@yahoo.com . My web design skills not good. If you can do a better web page layout please feel free to send it to me and put your name in the bottom of your page also. Please note to be compliant with google all the EXE files are renamed as .ex_ . So to download them you need to right click on Download Program and click SaveAs. After download you need to manually rename the file extension from ex_ to exe file extension. All these programs can be compiled and run with Delphi 7 Lite , FreePascal(Lazarus), CodeTyphone . You can Google them for their latest versions. A preview of Delphi 7 Lite can be viewed in YouTube . Delphi 7 Lite official website https://delphi7lite.wordpress.com/ . I have used the www.torry.net , www.efg2.com , www.delphi.about.com extensively for writing and improving these programs. www.Delphiforfun.com also have some very good Delphi programs for all levels of skills. I want to thank Mr. Dmitry Vasiliev of Russian Federations for his helps and encouragements in establishing of this website . This powerful program allows you to create very complex rectangular JigSaw puzzles by allowing you to break the image into 400 squares , with many special effects . FindWords A powerful program for creating complex find word puzzles in a rectangular array and simple newspaper style crossword puzzle creation. By compiling with Delphi 2009 and above can be fully unicode compatible application. The puzzle can be exported as a vectored EMF file format, when imported into MSWord it can be easily scaled for best printing output. HighPower Highpower is a very specialized unlimited accuracy integer calculator suitable for studying the properties of very large numbers. For example like prime factorization of large numbers, which is a big topic of mathematical research. 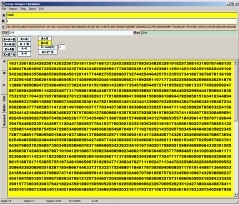 This powerful application can calculate all the 4772 digits of 3^10000 ( 3 to the power of 10000) in 0.25 seconds. Program to generate English words anagrams using built-in 58000 English vocabulary words dictionary. A simple Access/Excel database utility, which allows you to read and write Access and Excel files using ADO Table/SQL components. Allows new Access and Excel database creation. Excel files must be in database format. No joint cells in Excel file. Allows Delphi Stringgrids to be saved and exported as EMF graphics vector file. Later in MS WORD the grid can be easily adjusted. IMO Delphi Stringgrids more flexible that WORD tables. We all take it for granted how an image can be stretched to any rectangular shaped size. This project shows how this is done by the simple method of pixel duplication. Allows multiple photos of different sizes to be overlayed on the top of each other, with transparency and rotation control. Very easy to create ghost images on top of another image. Allows morphing of one picture into another picture. This morphing implementation not perfect . Requires RxLIB component library . See RXLIB instructions. Updated on 2015-1 fix the wrong file size error. A 30 cm accurate ruler is printed. A lot cheaper than buying a real one. Delphi5 and 7 come with a Richedit demo. But it does not have spelling check. I have added an interactive spelling check as you type the words. 58000 words dictionary is in the RES file. A simple printscreen/screenshot program that will be activated when print screen key is pressed. User can later crop the desired area, save to file or clipboard. This mp3player is essentially the same as the one that is posted in http://delphi.about.com/od/multimedia/l/aa112800a.htm . I just added some bells and whistles to it. It can fast forward and reverse by seconds. Mark the desired location and jump to arbitrary location. Repeat a favorite song. Play random files so make it more like a radio station but no commercials . Copyright © 2014 Omid Motahed.